The power of visual marketing content to increase reach, engagement and sales across social networks, is undisputed in 2017, so how can you use visual imagery in your LinkedIn profile to draw in viewers, stand out from your competitors and make an impact that positively reinforces your professional brand? Adding a photo to your LinkedIn profile increases the likelihood of your profile being viewed in LinkedIn search results by 21 times. It’s not too difficult to imagine that as humans we’re drawn to pictures of other humans rather than grey boxes (which is what will show up on search results if you don’t add a photo). But a word of caution here, you won’t do your brand any favours if your photo is badly lit, a selfie, or just inappropriate for a business professionals network. So, avoid photos taken at night, in the pub or at your friend’s wedding, on holiday or images that you’re also using for a dating site. Always aim for a professional headshot and smile! To add your professional head shot, click on the blue pen – top right of the photo/intro section of your profile – and then add or edit your photo. Now with the recent desktop redesign you have increased ability to zoom, crop, filter, adjust or straighten your picture to maximize your professional brand! No prizes for identifying the LinkedIn photo below which positively reinforces that member’s brand! Once you’ve added a professional looking headshot that reinforces the brand message you want to convey, make sure everyone can see it by making your picture visible to everyone, not just to your connections or your network. To do this go to your LinkedIn profile and click on the blue pen – top right of the photo/intro section. Then click on the small blue pen next to your photo and then on the eye ‘Visibility’ icon, bottom right of your profile photo edit screen. From the drop down select ‘Public’. See below. To help your profile stand out make sure to add a background image to the top section of your profile behind your photo. As this is your personal LinkedIn profile rather than your organisation’s, it’s up to you whether you add an image consistent with your corporate brand or something that represents your style/approach as a professional. However, if you are a solopreneur or an owner of an SME and you have a website, adding imagery that is brand consistent with your website/logo would be a great way to raise awareness of your business brand. For examples of some different approaches see below. Your image needs to be 1584x396 pixels in size and will stand out more if it’s in colour. Photos taken on your phone might work if they look professional, otherwise you can download images for free from stock image sites, such as www.freedigitalphotos.net, so long as you attribute the downloaded image to the photographer/graphic designer. Scientists tell us that we are incredible at remembering pictures. Hear a piece of information, and three days later you’ll remember 10% of it, but add a picture and you’ll remember 65%. With that in mind, adding media content to your current role description (always visible) and also to your summary section (visible when you click ‘see more’) will create a profile with visual impact that will help viewers remember you, as well as professionalize and provide visual stand out for your profile. It’s also a great way to 1) drive profile viewers to your website and 2) offer the reader added value in the form of thought leadership, information on the full range of services you offer or case studies on how you help your clients. As video content is one of the most powerful forms of rich media you can use today, if you have professionally produced videos on your website or videos of you doing or speaking about how you add value to your clients, seriously consider adding these too. You can also upload pdfs, images, white papers, power point presentations (via Slideshare) as well as any content that has a URL. To add media to your profile, click on the blue pen – top right of your current experience section – and scroll down to the bottom of the editing page. Your profile will display three pieces of media on your profile page but a reader/viewer will be able to see up to 8 pieces if they click on the ‘Media’ link above the content displayed. See below. 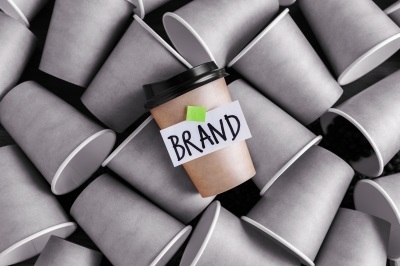 Whether you are or have been an employee of a well-known brand, or you’re working to build the brand of your new SME, adding your organisation’s logo to your LinkedIn profile helps to reinforce brand recognition and consistency, helps your profile stand out from the crowd and makes sure you avoid the obligatory blank grey box when no company logo is available. So how do you make this happen? Well, firstly your company needs to have a LinkedIn company page and the logo image needs to be uploaded to it. Creating a company page is free and very easy to do. It’s also another great place for posting news and info about the organization and content that will be useful/of interest to your target audience. To set up a company page click on the ‘Work’ icon top right of your menu bar (to the right of the ‘Me’ icon) and select – ‘Create a Company page’ from the drop down menu. Once you have a company page and logo added, go back to your profile and click on the blue pen – top right of the relevant job description. In the edit screen, delete the company name from the company box and then retype it in slowly and select the correct name from the drop-down list that will appear. And viola! Your company logo will now appear alongside your job title. Hope you found these five tips useful, and if you need any support in getting to grips with using LinkedIn as an effective marketing and business development tool, please don’t hesitate to get in touch.